The Senate Committee on Health, Education, Labor and Pensions (HELP) recently held a hearing on special populations in the Elementary and Secondary Education Act (ESEA) reauthorization. Witnesses provided testimony on homeless and migrant children, children with limited English proficiency, and children with disabilities. Lucinda Hundley, Assistant Superintendent of Student Support Services, Littleton (CO) Public Schools, gave strong testimony recommending changes to the ESEA that are necessary for students with disabilities to be successful. Her recommendations tracked closely with LDA’s suggested changes to the law. Ms. Hundley recommended first that Congress maintain full accountability for students with disabilities. As part of the annual assessment, she called for the addition of a growth model that measures student growth at the cohort level and comparisons from year-to-year against the same cohort of students. 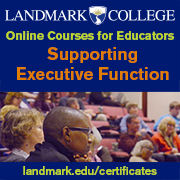 She also recommended flexibility in the use of ESEA funds to train and build capacity for both general and special education teachers, citing the critical shortage of special education personnel and the need for general educators to be better trained to address the needs of diverse learners. Another recommendation focused on the design of assessments using the principles of universal design for learning (UDL). LDA is an active participant in the National UDL Task Force and included a recommendation on the use of UDL in its own ESEA recommendations to Congress. Ms. Hundley noted that assessments designed using UDL principles will include diverse learners from the outset, rather than attempting to retrofit assessments, sometimes compromising validity in the process. Finally, Ms. Hundley talked about including a strong literacy component in the reauthorized ESEA, including the adoption of the LEARN Act for which LDA is actively advocating, and better training and funding for statewide literacy planning and instruction. After 17 years, Connie Garner, policy director on disability and special populations for the Senate HELP Committee, is leaving Capitol Hill. Connie’s name has been synonymous with advocacy for individuals with disabilities in Washington during her tenure on the Committee and before that at the U.S. Department of Education. Connie is also a pediatric and neonatal nurse practitioner and is the mother of seven children, including a daughter with intellectual disabilities. It will be difficult to find another staff person with her unique understanding of the needs of individuals with disabilities, both from the policy and family perspectives. LDA wishes her the best as she moves on to other endeavors. Connie was the lead staff person for the 2004 reauthorization of the IDEA, negotiated the Family Opportunity Act of 2005, a law allowing states to offer a Medicaid buy-in to middle class families with children with significant disabilities, and worked tirelessly for the passage of the Mental Health Parity Act. Most recently she shepherded the Community Living Assistance Services and Support (CLASS) Act, originally introduced by Senator Kennedy, which was included in the health care reform law and will make long-term care insurance available to all Americans. During her tenure at the U.S. Department of Education, she was the Director of the Federal Interagency Coordinating Council for Children with Disabilities and also served as the liaison for the Secretary of Education on all interagency matters related to health and children. In a totally unexpected move, Rep. David Obey (D-WI), chairman of the House Appropriations Committee and the Appropriations Subcommittee on Labor-Health and Human Services-Education, just announced he will not run for re-election. Chairman Obey has been a stalwart champion for funding for education, including the IDEA, and for health and social services over his many years in Congress. Elected in 1969, he is considered one of the few remaining traditional liberals in Congress. As LDA Policy Director Myrna Mandlawitz explains, authorizing a program Ã¢â‚¬“ having a program enacted by Congress Ã¢â‚¬“ is only the first step in the process. Without the appropriations committees providing funds for the programs authorized by Congress, in effect the program is “on the books” but cannot be implemented. 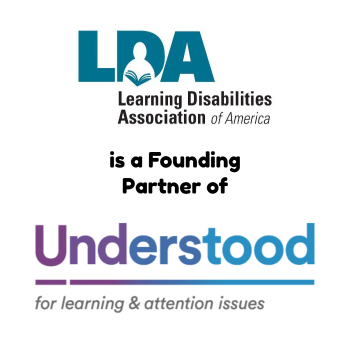 LDA works annually with the appropriations committees in the House and Senate to ensure adequate funding for education, health, environmental, and employment programs that allow individuals with learning disabilities to be successful across the life span. The chairmen of the Senate and House appropriations committees are among the most powerful members of Congress, and Chairman Obey has proven a strong ally on issues of concern to LDA’s members. Next in line for the chairmanship of the full committee if the Democratic Party retains control of the House is Rep. Norman Dicks (D-WA). Rep. Nita Lowey (D-NY) would be in line for the chairmanship of the Labor-HHS-Education Subcommittee. Dr. T. Berry Brazelton was the recipient of a Special Recognition award from the Substance Abuse and Mental Health Services Administration (SAMHSA), U.S. Department of Health and Human Services, at the 5th annual National Children’s Mental Health Awareness Day. 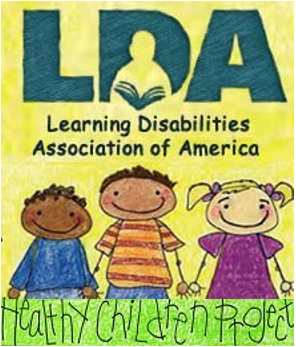 LDA was a supporting organization of this important event. This year’s event, with a focus on early childhood, was an appropriate venue to recognize Dr. Brazelton’s work on infant assessment, including his work on emotional well-being and individual differences. Dr. Brazelton played a pivotal role in the passage of Public Law 99-457, which established the Part H (now Part C) IDEA program for infants and toddlers with disabilities and the IDEA preschool program. He continues to work through the Brazelton Touchpoints Center at Children’s Hospital, Boston, to promote strengths-based, family-centered care in pediatric and early education settings. LDA was proud to be a supporter of Awareness Day. All told, 80 federal agencies and programs and non-profit organizations, including among others the National School Boards Association, the Council for Exceptional Children, the Statewide Parent Advocacy Network, and the Society for Research in Child Development, provided support for this celebration. LDA Policy Director Myrna Mandlawitz and Joanne Cashman, Director of the IDEA Partnership, were named “Ambassadors” for their work over the past five years in promoting the importance of this special day highlighting children’s mental health. Financing Special Education: State Funding Formulas, a Project Forum Document from the National Association of State Directors of Special Education. This in-depth policy analysis is an update to previous state funding formula documents from 2000-2009 by AIR and NASDSE. This document reports on the formulas used by states in 2008-2009. Within the document, the reader will find a table laying out the general types of funding formulas in 2009 for each state, followed by a few examples of unique complexities within formulas. Other sections of the document describe a number of changes in formulas over the years and on what states are allowed to spend their special education funds. Each state’s special education funding formula, as reported, is provided in the appendix. There are no restrictions on copying, because this document was produced with federal funds. Click here to download the Project Forum Document (PDF).